https://jcarroll.com/collections/teach-elementary Orders will be taken online only until midnight Sunday, Sept 2. Select “pick up at store” for your delivery option and your Teach gear will be delivered free to your child at school in approx. 1-2 weeks. Home shipping is also available for an additional charge. 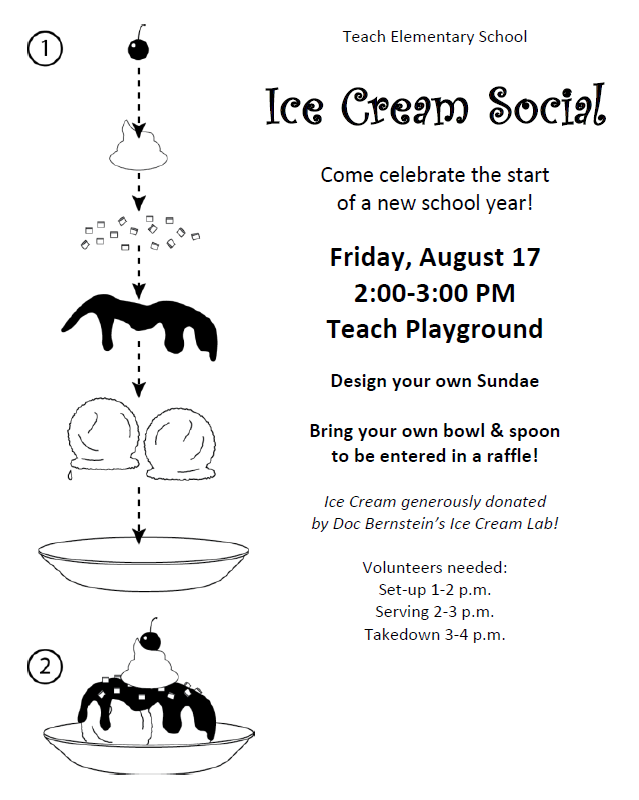 All Teach students and their families are invited to attend the Ice Cream Social at Teach on Friday, August 17 2-3pm! 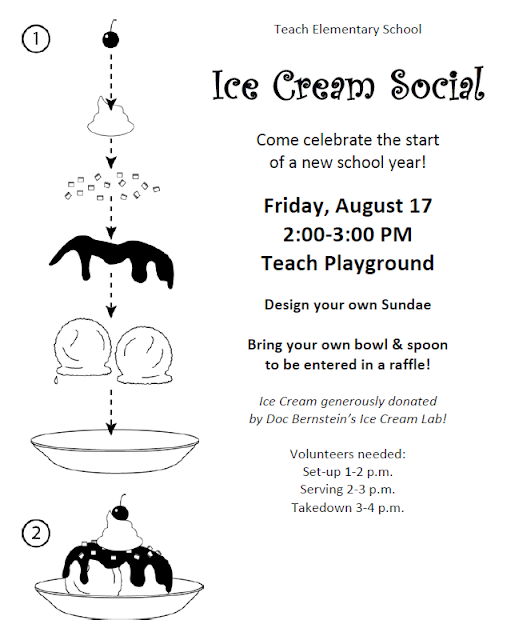 Come meet your teacher, school staff, new classmates and parents! 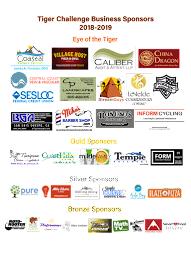 We need volunteers! Please sign up here!